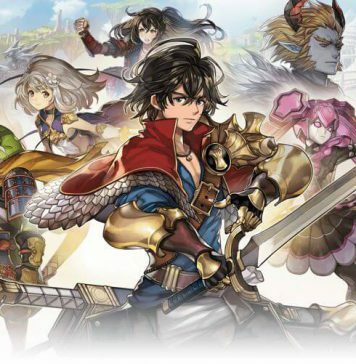 Even though we call this is Another Eden Tier List, this post is still not an official tier list for Another Eden game. In fact, in this post, there will be evaluation of some 5-stars units that are valuable or worth for you to reroll. So, you can have a good start in the beginning of the game. This is based on maxed unit. Best support unit (Healer & Defensive Buffer). She has highest SPD which allow her to be first in combat priority. She has extreme high MP which allow you to heal and buff your team easily. She can buff SPD on whole team by 15% in order to allow them to be faster than enemies(But it depends on your enemies’ SPD). She can heal status abnormality. Her ATK is low so don’t expect her to deal high damage unless using her skill, “Holy Burst” to inflict large damage on enemies as her INT is high. Her SPR is high that you can expect her to gain lower damage from the magic attack than most units. Her skill, “Aurora Force”, buff the team’s total attribute up to 50% at maxed level. Her VC buffs the team’s total attribute tolerance by 35% for 3 turns. Most importantly, she can fit into any team. She has highest INT which allows her to be strongest mage but however she is earth-attributed which mean that enemies with strong resistance against earth attribute attack can lower damage to themselves. Her Valor Chant lowers enemies’ resistance to earth attack by 10-30%. Her skill, “Guidance of Netherworld” allow her to deal huge damage to enemies on and recover from her damage on enemies. Her SPD is good. However, she is slowest of all 5* along with Mighty. Her SPR is high as she can gain lower damage from magic attacks than most units. Her skill, “Devil deal”, sacrifice 30% of her HP for 70% self-INT buff. This gives a boost on Another Force. This is not recommended on using this skill when she’s on 50% of her HP unless you have a good healer. The self-buff is extremely good as it helps her to kill boss effectively. Highly good Wind Attributed Pierce unit. She has second highest ATK. However the fact that she is wind attribute attacker makes her stronger than Lokido who has highest ATK. Her skillset is limiting Suzette’s dmg output as most of her skills are wind attribute skill and does not have the the ability to debuff unlike Shion. Her skill does not deal huge damage like Shion. Her Valor Chant is best offensive chant to be used as it buffs the whole team’s strength and INT by 30% if maxed level. Her skill, “Spears of the Makai”, allows her to poison multiple enemies as it eliminate certain part of enemy’s HP bar. Her SPD is high enough to allow her to be faster than most enemies. He has highest INT which allows her to be strongest mage but however he is water-attributed which mean that enemies with strong resistance against water attribute attack can lower damage to themselves. He has highest MP which allow you to use skills more freely however, some of her skills are high cost. His SPD is good. However, he is slowest of all 5* along with Toova. His SPR is high as she can gain lower damage from magic attacks than most units. His skill, “Nightmare Gift” allow him to deal extremely huge damage to the enemy and cast sleep status on it. This is extremely preferable for Single or Horrors situation. His skill, “Aqua Wall” grant 50% fire attribute tolerance and 15% physical attribute tolerance buff to his allies. This mean allies will gain less damage from physical attacks and fire attribute attacks. He can lower enemies’ SPD by 15% with his skill. His skill, “Waterfall”, deal huge damage to enemies. Strongest fire attribute slash (Mainly in Single or Boss Fight). He has second highest ATK. However the fact that he is fire attribute attacker makes him stronger than Lokido, who has highest ATK. His SPD is high as he can be first in combat priority to attack. His skill, “Phoenix Flying Sword”, deal huge damage to a single enemy with 3 attacks, filling Another Gauge faster. He’s not great in wiping a group due to his skillset limiting his target to one enemy. He can lowers enemies’ resistance to fire attacks and physical attack by 25% within skills. His MP is high enough to allow him to use skill freely. Blunt Stunner (Mainly in Single or Boss Fight). He has highest ATK but however, his skills are mainly neutral attributed, limiting his potential to deal high damage. His Valor Chant debuffs the enemies’ physical tolerance and strength by 20% if maxed level. Most of his skills are not great on offense as they are not dealing huge damage even though some of them are earth attributed. He has an AOE earth skill which allow him to deal modest damage to multiple enemies. His skill, “Yasha Demonic Fist”, allow him to deal modest damage, lower enemies’ blunt tolerance by 25% and stun the enemy. This is good in Single or Boss fight only. His MP is lowest of all 5* and require MP management as his skills are costly. His SPD is high enough to allow him to be faster than most enemies.